I'm never NOT laughing while watching this show!! Lol i remember when i watched the first episode and i immediately called up my best friend saying i found a show that reflects me perfectly--personality wise XDD. Serin-chan is just the best!!!! Every episode i find something to giggle, laugh or fangirl about; most of the time I'm doing all three!! A great watch!! Especially for those fujoshis & BL lovers on Crunchyroll that have been starving of BL from only having Sekaii, No.6, Super Lovers, and DMMD to quench their thirsts.... this show shall be able to suffice you pretty nicely with it's subtle moments XD Definite add to your queues! This show is amazing...is there any other like this? OKAY this show is amazing, cute, and super hilarious thus far. That being said i love anime with this type of feeling and genre. Nozaki-kun Girls Monthly kind of reminds me of this (loved that one too btw). Do any of you know any more shows with this type of feel and genre? Great anime, bad ending (spoiler in review). Many people in the comments of the final episode said something like, "I saw it coming, but dang it." I for one did not see the ending coming. The anime seemed very well-written, and the end blows that all away. The anime seemed to be heading somewhere throughout the whole thing, but the ending is typical "derp" anime ending (for anime that's poorly written; not good anime) that means nothing and goes no where. People can't even argue that the ending was unpredictable. It was very predictable, because all poorly-written endings are like that. It's like a formula for cop out endings. It's like trying to make everyone happy (I'm sure everyone had a favorite character) by making no one happy. That is lazy, garbage writing and quite honestly I was blind-sided by seeing it in this otherwise amazing anime. The subtle character and plot development was leading to a relatively obvious but great ending. But that's all great stories. Just because an ending is obvious doesn't mean it can't be different and great. 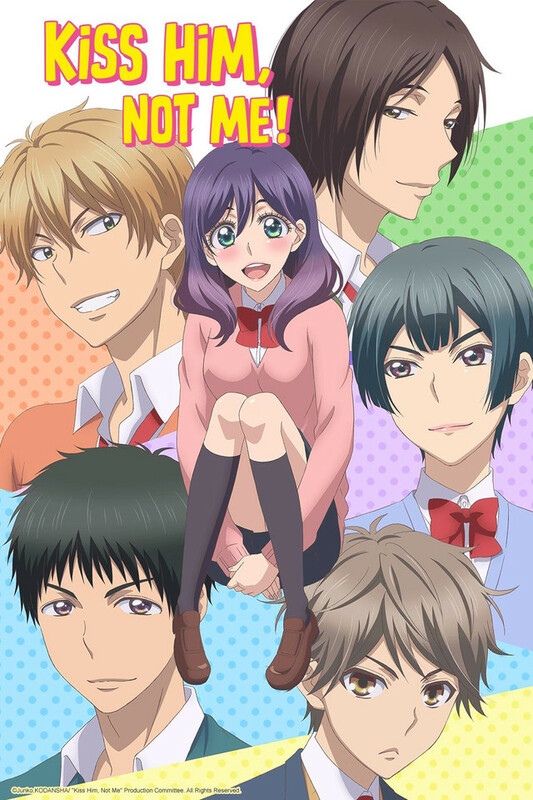 Take the "high school romance" genre of anime. Anyone could argue that it's all the same just because people "know what the plot is." But it isn't all the same. Great writing makes the good ones dramatic and interesting. The same can be done with "predictable" endings. Even the writer knew what the real ending should have been, because in the last episode every single other character in the anime was like "Oh shoot, the person this whole series has been leading up to is finally going to make their move. We're done for." The entire series was building up to that. It was that obvious. It wasn't the best decision; it was the only decision. There was no other ending possibly that good. There was a decent one (everyone who watched it knows who the second runner up would be), but no other great endings. And instead of finding a way to make that already great ending even more amazing by finding a way to make it dramatic, unique, feel-good and romantic...they put out that garbage ending that basically goes against the whole feel of the rest of the series. I did not see a terrible ending coming. And again, it's not because the ending was unique. It was so predictable, cliche and stupid that I thought they would never put it in this otherwise great anime. It is well-written, funny, adorable, well-paced, the characters are great and the story is unique. If I could rate the series without the ending, I would give it 5 stars. But the ending is absolute trash, and I would not be this blunt, dismissive and honestly disgusted by the ending if the rest of the series had not been so good. The rest of the series is so amazing that the ending stands out like a sore thumb. Would I recommend the series anyway? Now that you know the ending isn't there and that this is just a silly, cute anime, I would highly recommend the series. If I could go back and tell myself this is all that the anime would be, I would have enjoyed the series more. But the end is just so cliche that, having been blind-sided by it, it left a bad taste in my mouth for the rest of the anime. You will probably love the anime if you go into it knowing the ending is "MEH." A must-watch for all fujoshi!! Surprisingly played for more than just cheap "look at this weirdo/fish-out-of-water" laughs, Kiss Him, Not Me! is clearly written by someone who is/understands fujoshi truly and lays out their unusual life path/view in a completely authentic way. What's more, the story is just interesting and fresh--this is a type of girl we've only ever seen shown in anime in a non-serious, externally viewed and typically belittling/mocking way. But Serinuma is a complete and engaging person with a kind heart and *ahem* a lot of passion, plus a real understanding of who she is. It's very refreshing, and the humor, fun/energetic story, otaku culture insights, lovely character designs, and fantastic voice cast make it a thoroughly entertaining watch week after week. Highly recommended, to both my fellow fujoshi (it's a MUST-WATCH, I promise there's good stuff here!) and everyone else!